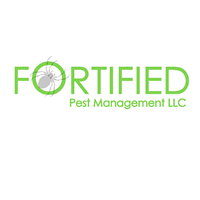 We at Fortified believe in Integrated Pest Management. There are many tools at our disposal to minimize the population of any pests to your tolerance level. Although we utilize chemical treatments we consider them one of many options available for use. We specialize in all pests such as, Pigeons, Scorpions, Rodents, Termites, Roaches, Spiders and all other occasional invaders. We service the entire valley and Boulder City. We have a 100% satisfaction guarantee. We look to earn and keep your business for life! Fortified Pest Management has been handling my two homes for more than 3-4 years and I am very happy. Michael has been one of their best people and they have helped both homes with the normal roach control, etc but also rat problems at both homes. Excellent job of keeping pigeons away from the upper story window ledges on the west side of the house. A couple of the pigeons moved to a ledge on the east side... Pesky birds! You are doing a pretty good job, but we still have bugs. We had hoped that they would be all gone. They seem to show up right after you spray. Fair price, efficient service....what more could one want???? A++++ highly recommend! Upfront, honest and they showed up when they were supposed to! Good work! Polite staff and workers. Prompt and effective work. Fast and efficient. Well done! Thank you! Great service... very thorough ....mike is great. Great people. From Karen on the phone, to the tech who came to my house, Tim. I was not really thrilled with home advisor, who immediatly sold my info because an error I made with them showed up in a solicitation email 5 minutes later. But that's on them. There guys are fabulous. Highly reccomended, by me. And I am not that easy to please. I will not consider going anywhere else. Your crew did a good job cleaning and putting up the barriers. Pigeons are still here, but not as many. They are not nesting but are walking and sitting on the solar panels. Helped both my mom with her bed bug infestation and me with prevention management. Excellent service, same day within a couple of hours of request. I am happy with the service Fortified provides. Nice to know they are only a phone call away. I am very happy with the work Fortified did to eliminate my pigeon issue. They were very quick to respond, identified the problem areas and addressed the situation fully. They also did an excellent job of cleaning up the pigeon droppings and sent pictures of the completed job while I was out of town. I highly recommend their high quality service and professionalism. Been very Happy with our service for 7 yrs !! I would recommend fortified pest management to everyone they treated my house for bed bugs and my house is now bed bug free and they did it for a very reasonable price. Prices were fair. Did a good job of getting the pigeons out of my solar panels. Had a really bad problem, worse than we could have imagined. We called three different companies. Fortified came, inspected, gave us a quote and said they would come back until the bed bugs were gone. THEY DID EVERYTHING THEY SAID THEY WOULD DO. They came back after heat-treating, noticed a really problem area, treated it more, and are still coming back to make sure the JOB IS DONE!!! Thank you. It has given us peace of mind in this mind-blowing situation. Thank you Fortified. Guys came out installed spikes on roof. And pigeons went elsewhere. Cleaned roof off and did a great job.i recommend this company for your pigeon issues. I had a nasty pigeon problem for years. They still sit there but they can no longer nest. The materials they use are durable and well installed. My only problem was that i had to call back for a better cleaning job. Other than that i am satisfied. The staff at Fortified are pleasant, professional and don't try to sell you something you don't need! Thanks Tim, your awesome and thank you for professional service. Very satisfied A +. I am glad with the servic. I have been a long time client and very pleased with the service. Always polite office staff and the technicians that come out have been friendly, professional, and on time. Fortified pest management handled our pigeon issue with expertise and promptness. We recommend their services! Fortified pest Management is the best. They have bent over backwards to help me with a pigeon infestation and to correct construction defects that allowed those nasty buggers to make nests where they shoudn't. Whenever I need anything they are there the same day. I have referred FPM to multiple people because of their dependability. Thank you Tim and gang. Outstanding work! Did everything in the quote I received! Would recommend this company to everyone! Great customer service! Highly recommend.